I wanted to have at least one French meal in Paris, so I choose Le Petit Bofinger, after reading Cumi & Ciki’s blog post on it. 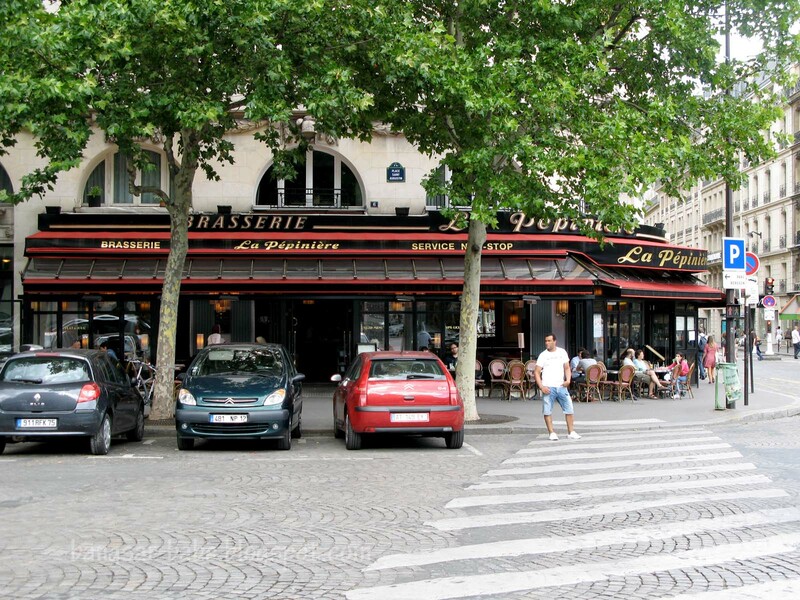 My parents were not keen on looking for the place, so before they walked to the nearest Chinese restaurant, I quickly picked Pépinière Brasserie, just down the road. Our waiter was grumpy looking, but he warmed up to us quite quickly. 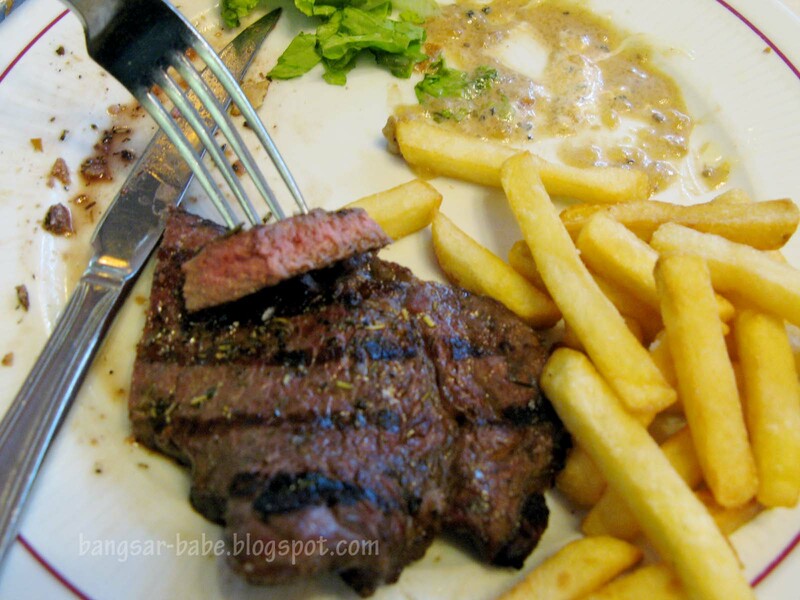 He was accommodative – but he did frown when my father asked for his steak well done. LOL. I would too; it’s a waste of good meat. 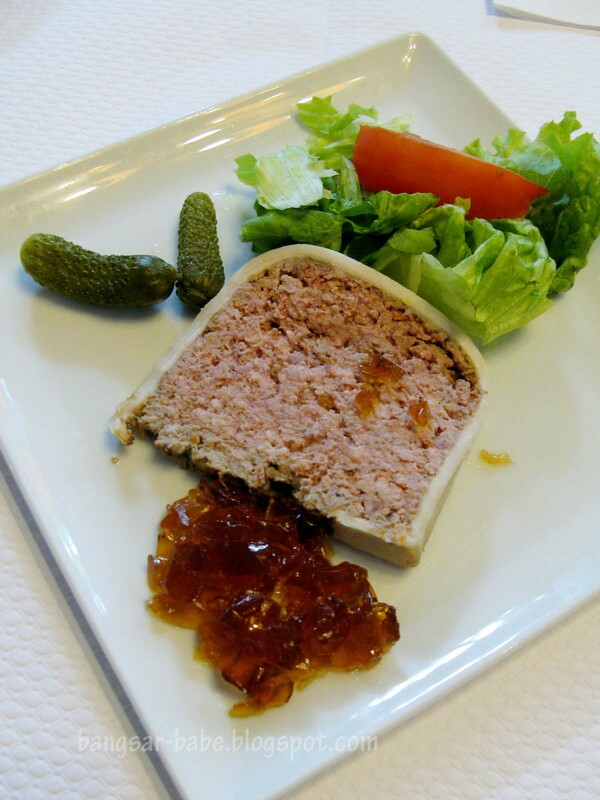 I ordered the Pâté de Campagne (£5.70) as my starter. It had a great texture, complemented by the earthy flavour of liver. My parents and brother didn’t touch this. So more for me! 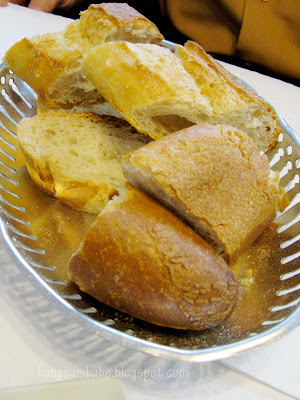 I liked that it wasn’t too liverish; some Pâté de Campagne contain more liver than I can take. 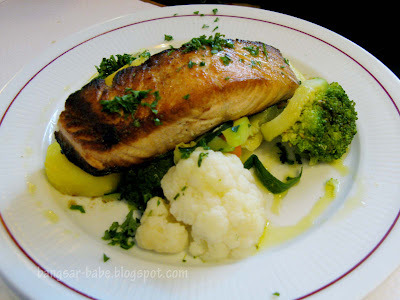 The grilled salmon (£16.90) came on a bed of roasted vegetable. Taste wise, it was a tad plain – I’m not a fish person. My mum however, thought it was pretty good. 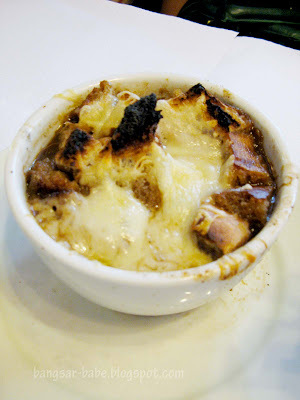 I liked the onion soup (£8) she ordered. It was full of beefy flavour and sweetened by the caramelised onions. I asked for my steak (£15.90) done medium. Many Parisian restaurants serve their steaks rare or “saignant”. 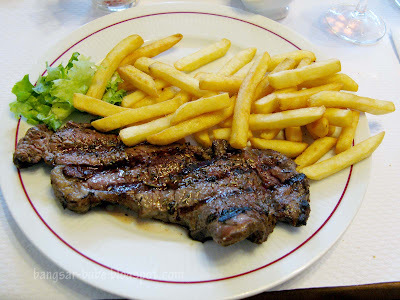 If you want it medium, say “à point,” pronounced “ah pwan.” My dad asked for “bien cuit,” to which the waiter asked, “Shoe leather, sir?” Hahahaha… The steak was fine — tender and moist, but nothing that shouts great. I guess it’s one of those dishes where you go, “Oh yes, I had steak frites in Paris!”…or “I had pork pies in London”…or “I ate nasi lemak in Malaysia”. Fries were crisp, hot and salty. But from the looks of it, they did not slice the potatoes themselves. 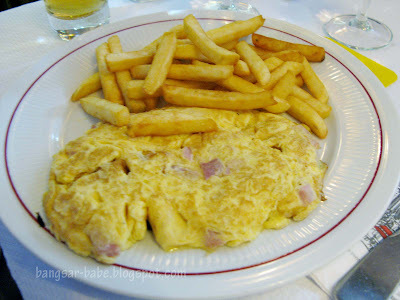 My brother’s ham omelet was nothing fantastic; typical breakfast food. I have no idea why he even ordered that in the first place. Verdict: A very typical Brasserie. Overall, nothing wrong but nothing great. 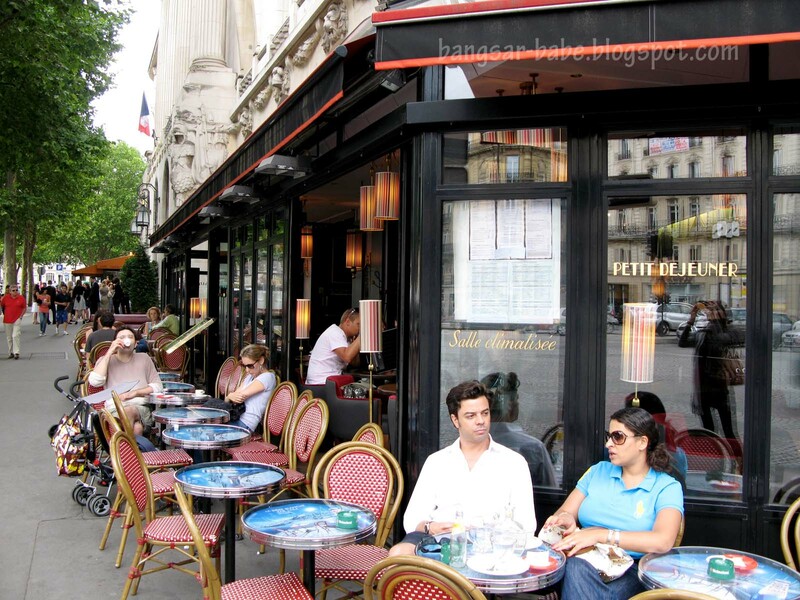 My wife demands that I bring her to Paris soon… how could we ever miss the most romantic city while on our honeymoon "she asked"
the french tastebud is a little different from us malaysians.. I tried a couple of fine dining places there, but I found the food a little bland.. 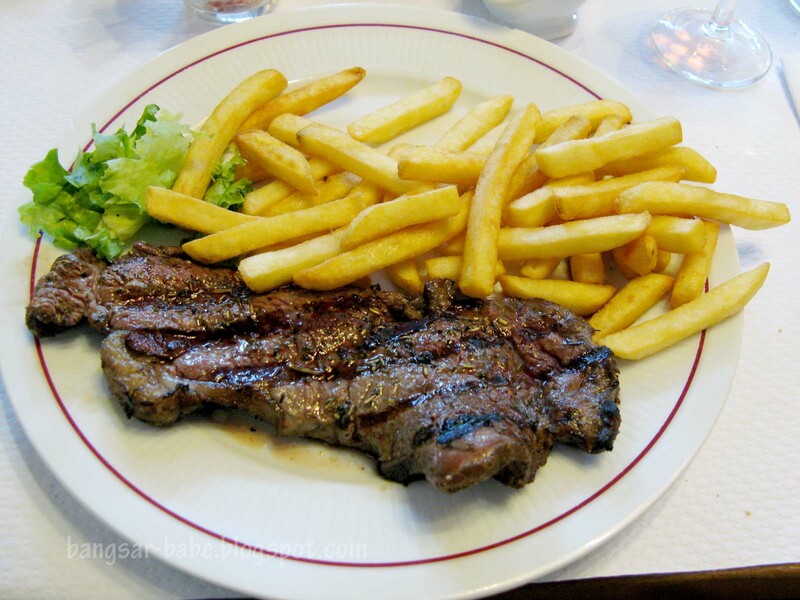 I guess its just their way of serving it.. and in Paris, it is very difficult to get pan fried foie gras… most of their foie gras come in pate form..
hmm food does look so so, didnt know steak frites is a parisan thing! 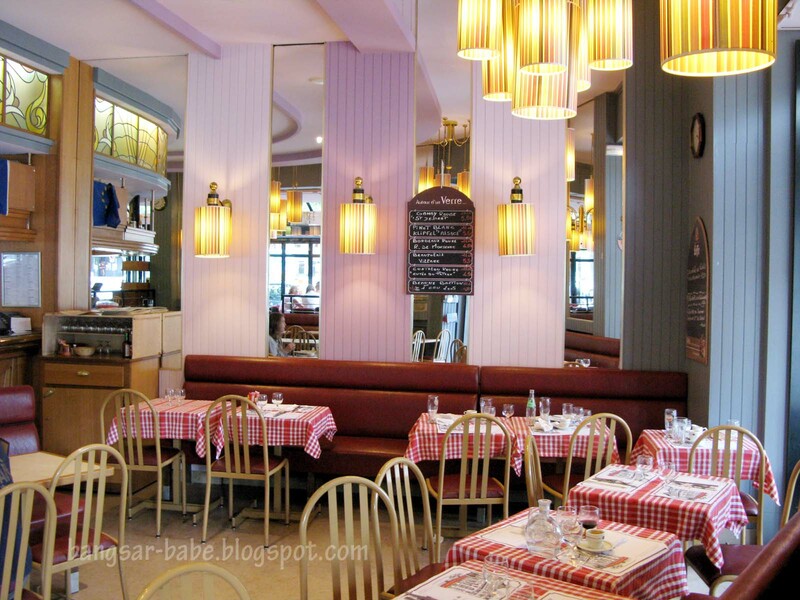 Tummy Rumble – Yeah…it was hard to find foie gras whole. Most places served them pate style. Ya lor…I didn't get why the flavours were bland!